Including almonds as a regular part of meals or as a snack has many health benefits for people at risk of diabetes. Nuts are a healthy addition to any diet. Even though nuts are high in fat, most of this is the healthy monounsaturated and polyunsaturated types. Nuts are also a good source of protein, fibre and vitamin E and a host of other nutrients. As part of a healthy diet, nuts raise little concern about weight gain and may offer some degree of protection from heart disease. Nuts often appear on the top of dietitians’ lists of recommended snacks to consume. So what benefits can these nutrient powerhouses offer when included as part of regular snacking? As part of a 4-week randomised-controlled clinical trial, 137 adults at high risk of developing type 2 diabetes consumed 43 grams of almonds each day. The nuts were eaten either at breakfast, lunch, as a mid-morning snack, afternoon snack, or not at all (the control group). Compared to the control group, eating almonds showed favourable benefits on blood glucose levels and helped lower subjective feelings of hunger and desire to eat. These effects on glucose and appetite were more pronounced when the nuts were eaten as snacks between meals than with a meal. 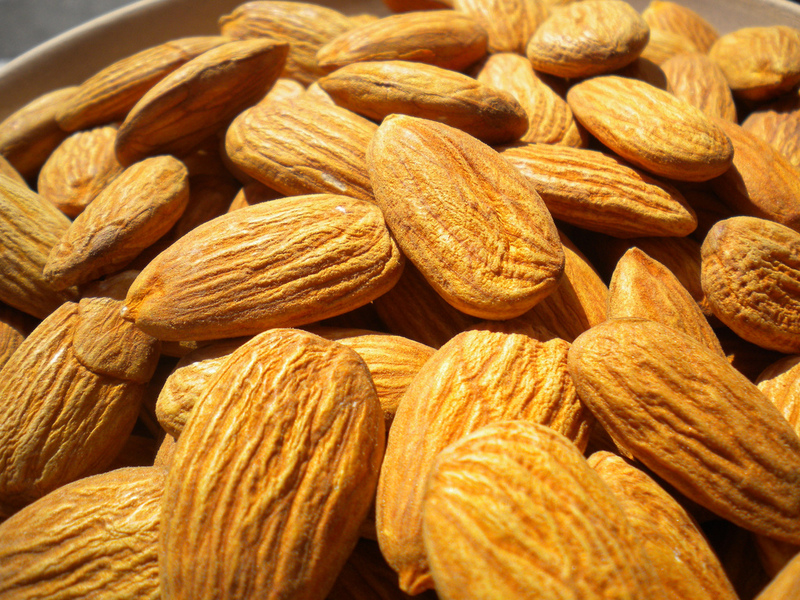 Without any advice on making dietary changes, those people eating the almonds naturally reduced the overall amount of food they ate to compensate for the extra kilojoules coming from the almonds. Guidance to include nuts, especially almonds according to this latest research, as a regular snack is advice well worth adopting. Recently there’s been a lot of talk about overnight soaking nuts and seeds in order to reduce phytic acid content (like we do with pulses). What’s your opinion? Soaking of pulses is done to improves digestibility not so much to reduce phytic acid and as for nuts, you will struggle to find any evidence that improves the ‘health’ of the nuts – phytic acid has just as much evidence for being of a health benefit to us and unless someone’s diet was almost exclusively composed of foods high in phytic acid where reducing absorption of some mineral could be an issue, then is no need to be worried about it. So if someone can be bothered with preparation time to pre-soak their nuts or pay for very expensive pre-soaked nuts then good luck to them, but there is little basis in nutritional health to be doing so.